Date frogs come in a myriad of sizes, shapes, and colors, and it's not typically physical qualities that designate a senior date a frog, since individual tastes vary. So if you've been categorized a frog, it likely had little to do with your physicality, and everything to do with your attitude. I've heard a number of comments from women that indicate looks weren't their criteria for labeling dates frogs, and the same applies to men's comments about women. 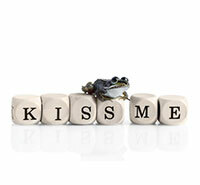 So what changes a senior date into an amphibian? The number of senior women that have commented about first dates showing up at their door to pick them up wearing old shorts, T-shirts that barely covered their bellies, and flip flops, are too numerous to ignore. This is who I am, take it or leave it, is neither an attractive nor effective first date strategy. Every senior dater needs to make a concerted effort to look well kempt on a first date, and there are no excuses for looking as if you just played beach volleyball. I dated on and off for a decade and I can’t recall one woman who didn't show up for a first date looking like she’d made an effort to look her best. What constitutes a female frog may be open to debate, but there's one issue in particular that a fair number of men have suggested qualifies as froggy behavior. A senior woman who expects to be wined and dined by a man on a first date, and every date thereafter is pretty much a universal turnoff to men and merits a spot in the frog hall of shame. The notion that in this new millennium when women have finally achieved equality, that men are still on the hook to pay for everything can turn a woman into a frog instantly. Women fought hard to gain an equal foothold, and while there’s room for more fair and equal treatment, few senior guys want to be taken for granted. A woman dater who avoids looking at the check when it arrives sends a message that she expects her date to pay. Sure, this might be avoided if the topic of who pays is broached beforehand, but there are enough senior women today who reach into their purses when the check arrives to recognize times are changing, and that the number of senior women who expect to be consistently treated is dwindling. Equal means being treated the same, and a woman's offer to share the bill is viewed as fair and considerate by most men. And while it's also appreciated, a man can decline a woman's offer if he chooses. 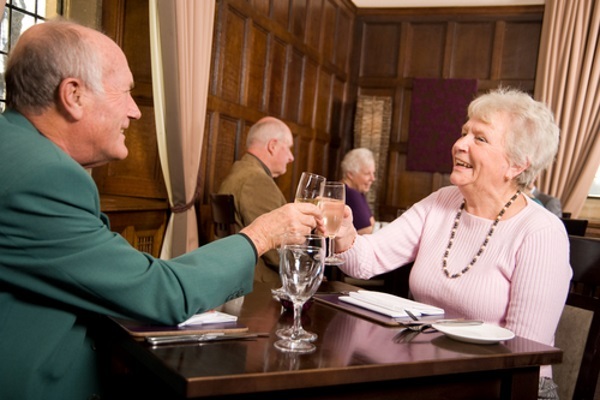 A large percentage of senior women agree with the premise that paying their share on dates is appropriate, and some have even mentioned intentionally suggesting restaurants for dates that they can afford. I remember when the check came after the first dinner out with my partner, who reached into her purse and offered to share the bill. I appreciated her gesture, but suggested I’d take care of this one and she could get the next one instead, a win/win solution. A woman wrote me recently about a first date with a senior guy who evidently couldn’t wait to show off his webbed feet. He picked her up at her home and when they got to his car, he told her, "Since you're equal now, you can open your own door." Ouch! C'mon guy, really? I consider opening doors for a woman, whether a car, a restaurant, or any door for that matter, to be a gentlemanly, gracious thing to do, which has nothing to do with equal, and everything to do with being courteous and respectful. Her date's comment was meant to insult, not congratulate. The rest of her date didn't get any better, which wasn’t a surprise since it began with an insult. It’s fair to say that both genders are equally capable of frog-like behavior. Being a prig is inexcusable, particularly since both people agreed to the date. Dating manners seem to have all but disappeared, particularly since the inception of online dating. A fair number of senior daters behave as if anonymity makes rudeness acceptable. Most of us remember growing up in a time when being polite and respectful was considered normal. If a date turns out to be a frog, or you feel disappointed for any reason, simply say thanks and walk away with your dignity intact. If every senior dated with this attitude, date frogs would become extinct.